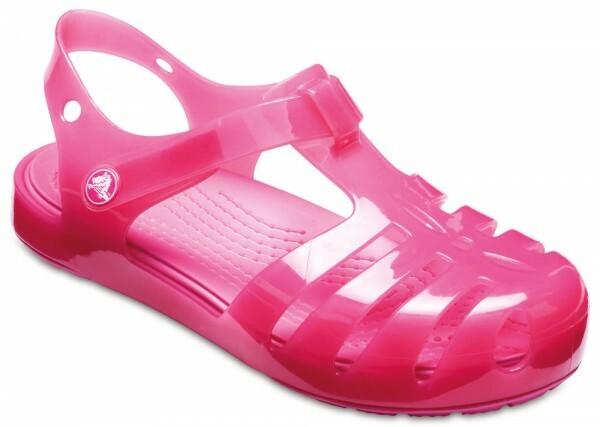 Product information "Isabella Sandal Ps Kids Paradise Pink Croslite"
Keep her smiles coming and the cuteness turned way up with these adorable Mary Jane-style sandals. Featuring soft Gemlite foam uppers, a closed-toe design for all-day play, and hook-and-loop closures on the ankle straps that provide a custom fit for every girl. Related links to "Isabella Sandal Ps Kids Paradise Pink Croslite"
Customer evaluation for "Isabella Sandal Ps Kids Paradise Pink Croslite"